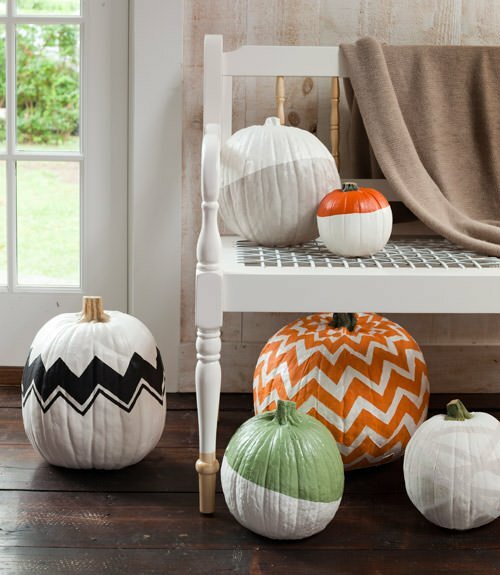 You don’t have to wait for Halloween to decorate with pumpkins. This time of year they are abundant and make great fall décor on the porch, or inside your home. 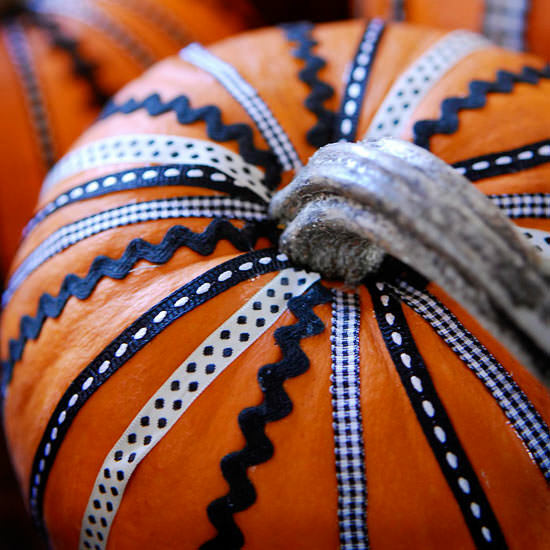 Check out these no carve pumpkin decorating ideas, and use them to express your personality! Did I mention, these are kid friendly projects as well! 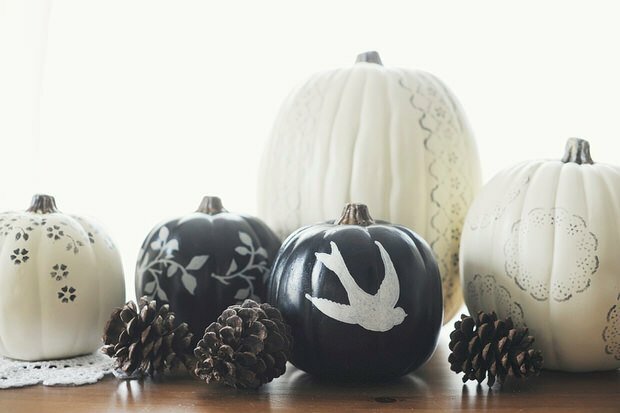 These black & white pumpkins are painted, and this is about as easy as it gets. The white pump=kins are painted with stencils, and the black ones are painted with satin black paint, then stenciled. From ‘Dearest Someday‘. You have GOT to love this! Cinderella’s coach with junk metal and tiny pumpkin mice! From ‘BHG’. Also from ‘BHG’, simply use a glue gun and scrap ribbon to make create this look. Use colors that match your room, or make it more traditionally Halloweeny. 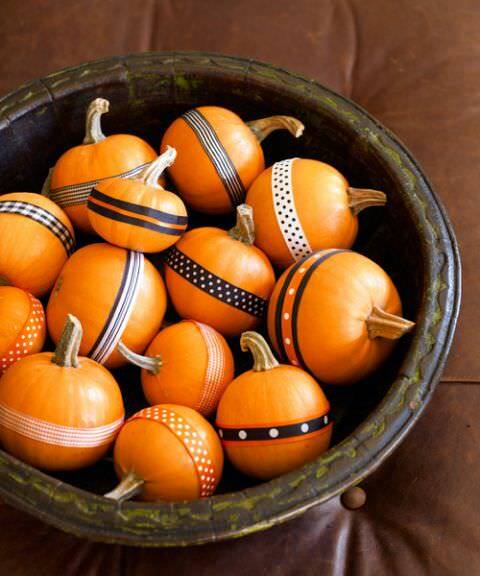 Use double stick tape and inexpensive ribbon to wrap these pumpkins with decoration. If you try this on large pumpkins (and you should!) use larger ribbon! From ‘Good Housekeeping‘. 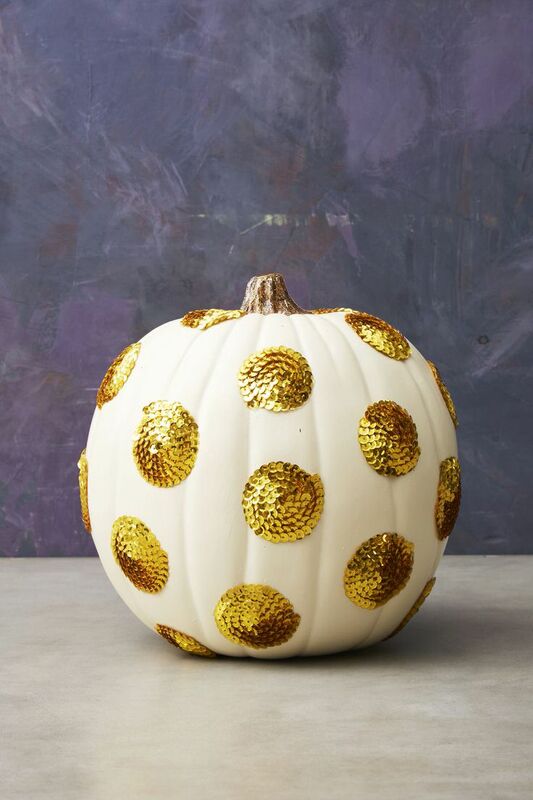 Use sequins to create these glam no carve pumpkins! 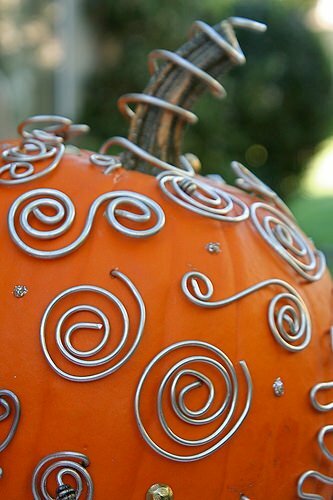 You can use metallic colors, or go for something bright and bold on a white pumpkin. From ‘Good Housekeeping“. Cut mini bats out of cardstock, or buy precut craft foam bats, and attach with one dot of glue from your glue gun in the center of the bat. Once dry, bend the wings outward to create the appearance they are flying. From ‘Spoonful‘. Use the new patterned washi tapes (try the craft shop) to creates stripes or a plaid look. Try using a dry erase maker to draw your pattern first. From ‘Real Simple‘. Check out this tutorial from ‘Bella Knitting‘ on creating these wire wonders! 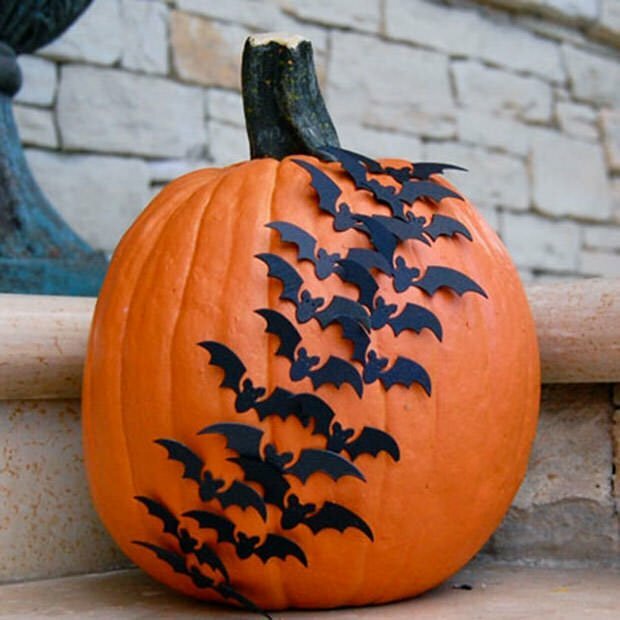 With these types of no carve pumpkin decorating ideas, you will never need to carve again! 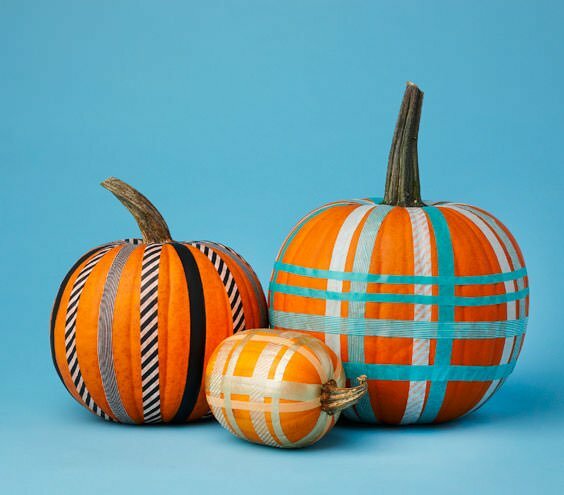 Painters tape and craft or acrylic paint a foam brush created these patterned pumpkins! From ‘Country Living‘. 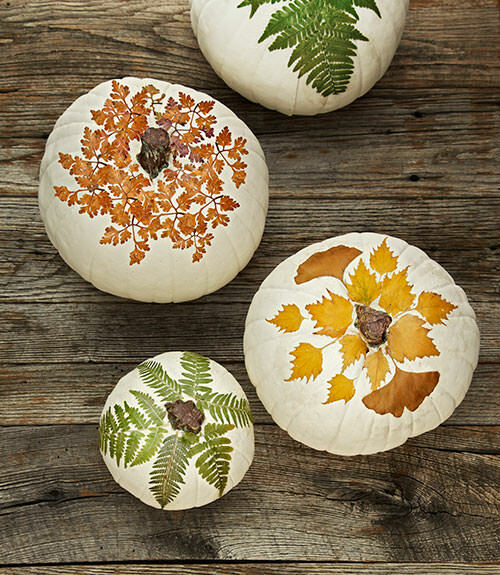 Mod podge over pressed leaves onto white pumpkins… Easy! Photo from ‘Shop Terrain‘. So don’t carve those pumpkins! (Yet!) 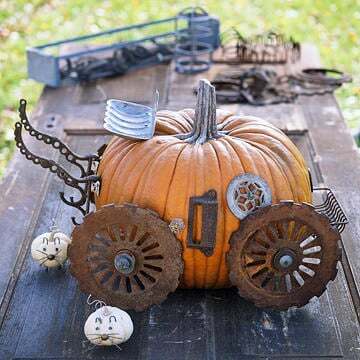 Try these No Carve Pumpkin Decorating Ideas! 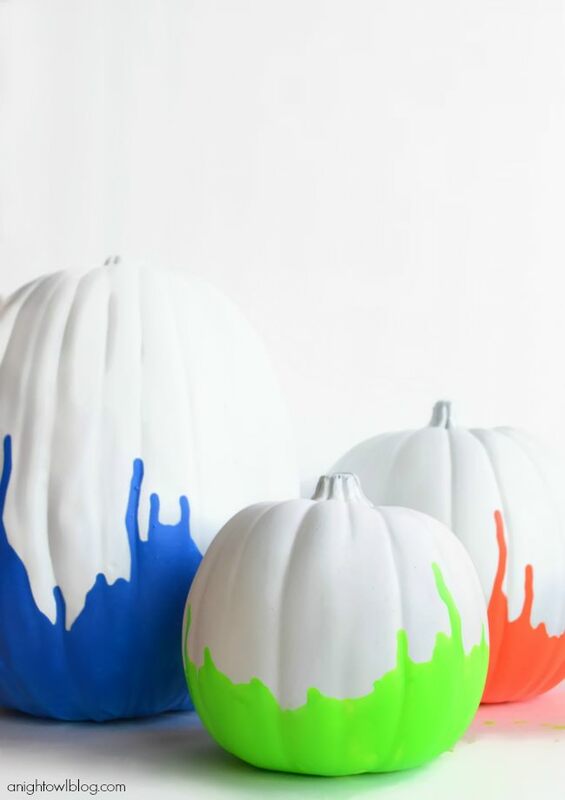 We think you will also love our posts 11 Pretty Painted Pumpkins and 18 Classy Fall Decorating Projects! These are great! Unfortunately the link to the curved metal tutorial didn’t work 🙁 . I’m going to try some o these! Thanks for letting us know Ann! We will check on that tutorial link!